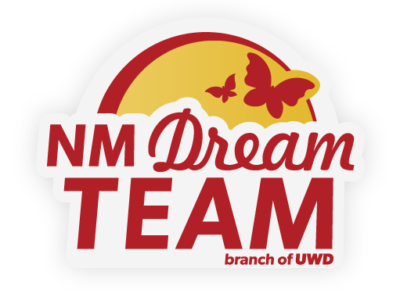 On Tuesday, the 54th Legislature first session began and the New Mexico Dream Team was present and ready to call for action. 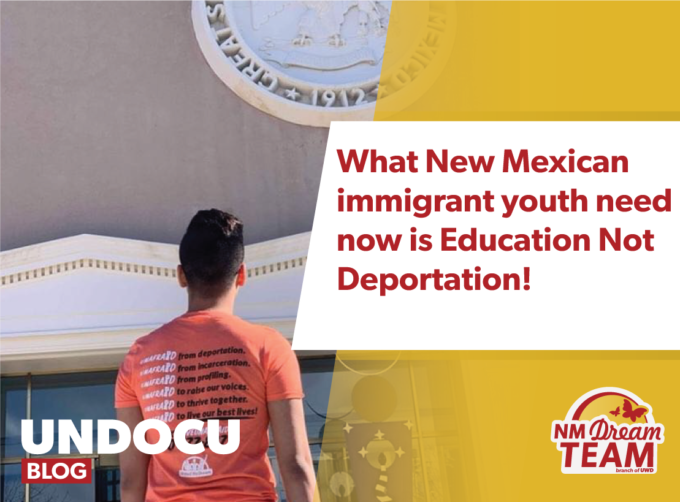 The New Mexico Dream Team’s Education Not Deportation campaign advocates are calling for stronger protections for our immigrant families, as well as access to affordable and equal education for all students –regardless of immigration status. It is extremely important for the Dream Team that our communities are protected and properly represented. With everything going on in our country’s government, it is essential that here in New Mexico we make sure our communities are protected and that taxpayers’ money is being used to fund vital community needs such as education, not Trump’s deportation agenda for people of color. We have to demand that our money is not used to fund detention centers and deportation. We will also work hard to make sure New Mexico sends a clear message to our country’s current racist, xenophobic government: Immigrants are part of New Mexico’s fabric and are welcomed in our state. Our organization will work tirelessly to make sure our families and friends are protected in our state. Another issue we are focusing on is healthcare for ALL. Health is an inalienable right, and our state legislators must ensure all New Mexicans have access to affordable medical care. New Mexicans must have access to medical care regardless of legal status. This is especially important in our state since there are close to 180,000 New Mexicans who do not have access to health insurance; about half of those are undocumented immigrants living in the state. Throughout this session, we will work alongside –and pressure if necessary– our legislators to reach our goals. Our organization will make sure our voices are heard. Our voice matters and it will be heard. With a new governor, we can only hope positive change will come to our state.